The Ramaiah Medical College Hospital, founded in 1984, represents the Ramaiah Group’s commitment towards the two pillars of society, Health and Education. The Hospital offers teaching to undergraduate students and interns (MBBS and BPT). It also offers training to postgraduates during MD, MS and MPT. The Hospital houses all super specialties where DM and MCH residents get to practice. The 22 board general specialities include Medical and Allied, Surgical and Allied and OBG. 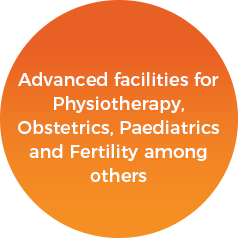 The Super Specialities include Urology, Nephrology, Medical Oncology, Surgical Oncology, Plastic Surgery, Neurology, Neuro Surgery, Paediatric Surgery, Endocrinology, Vascular Surgery, Gastroenterology and Cardiology. The Hospital receives patients from across the country, including Andhra Pradesh, West Bengal, Maharashtra, Madhya Pradesh and Bihar among others. The Hospital has a number of special wards and is the only hospital in Karnataka to feature a transgender ward. 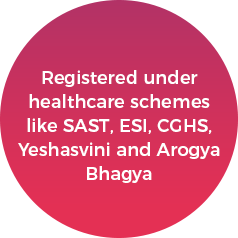 The Hospital is registered under several healthcare schemes and offers patients subsidised treatment through the SAST, ESI, Yeshasvini, Arogya Bhagya and CGHS schemes. Apart from subsidised treatment, the Hospital offers free food daily to patients and their caregiver under the Narayana Seva. The Hospital has been named a centre for the Revised National Tuberculosis Control Programme (RNTCP). It is also acclaimed as a hub for the Integrated Counselling and Testing Centre (ICTC).